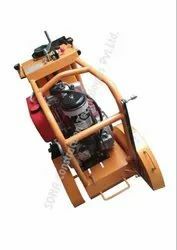 Offering you a complete choice of products which include concrete cutter, groove cutting machine, floor cutting machine, electric concrete cutting machine, diesel concrete cutting machine and concrete cutting machine. 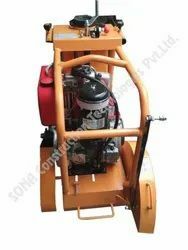 Backed with leading–edge technology and experienced professionals, we are offering an extensive range of Concrete Cutter that is used for various constructing applications for cutting concrete and other solid materials. In order to provide an excellent range to our clients, this cutter is manufactured by employing sophisticated technology by our professionals. Our entire range is offered in several sizes, designs and other related specifications, as per the variegated requirements of our valuable clients. At Sona Construction Technologies Pvt Ltd, we have come up as the emerging players in construction machinery industry. Since each of our construction machines delivers excellent work performance, we are highly valued by our nationwide clients. Apart from that we are also listed up on Indiamart where customers can find our widest range of products. 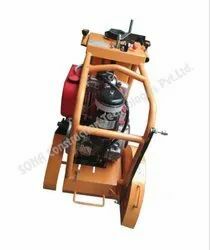 We are into different types of manufacturing such as- general machine shop, assembly shop, fabrication shop and more. Our unit is well-resourced with the requisite equipment which includes- Drilling, Cutting, Welding, Lathe & special purpose machines which are in substantiation to international paradigm. 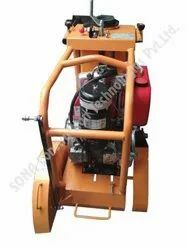 Our machinery solutions are all based on to improve and abridge your operations. 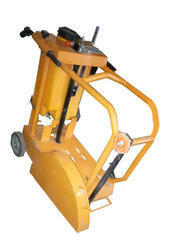 Power Trowels, Tamping Rammer, Mini Mixer etc.